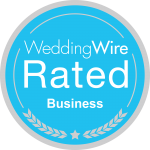 Please visit my page on Wedding Wire for more information and reviews! We could not have asked for a more wonderful person to officiate our wedding in August. Right off the bat, Laura was responsive, professional, warm and incredibly thorough. She met with us to discuss our vision for our marriage and invested an incredibly huge amount of time and effort to curate a perfect ceremony. 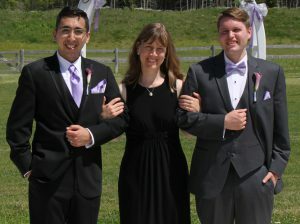 For both of us, the ceremony was the highlight of our wedding day and we have Laura to thank for this. Each and every single guest commented on what an enjoyable and unique ceremony it was. Thank you for all your effort and kindness, Laura. I am an Event Coordinator for Cardinal Golf Club and RedCrest and I had the pleasure to work alongside Laura Higgins for the ceremony rehearsal and the wedding day ceremony. She had the wedding party organized, and went through the ceremony rehearsal flawlessly. She went through each key parts of the ceremony without giving away too much, so that it was still special for the real ceremony. By doing this she had the wedding party at ease and feeling confident for the real thing. She had met with the bride and groom previously to hear their story and had written their ceremony based on this info. It was the most memorable and meaningful ceremony I had seen after 6 years of weddings that even I was in tears. 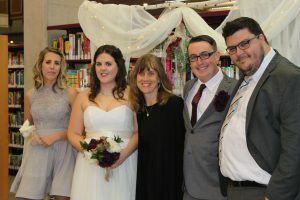 If you are wanting your ceremony to be unique, personal, memorable then Laura is the officiant for you. There is no one else that compares. Working with Laura was an absolute pleasure. My now husband and I had no idea what to expect for our wedding, what the vows would be like or what we would want to say. 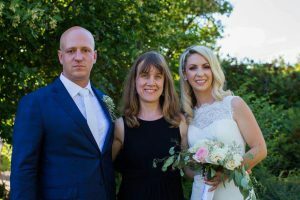 Laura helped us every step of the way, from asking us in-depth questions, creating a first draft and a second and a third and so on until our ceremony was absolutely perfect for us as a couple. 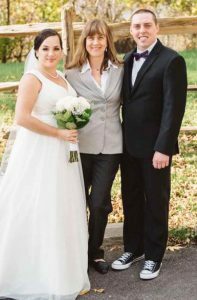 She was able to incorporate our humor, our stories and our passion for each other into the perfect wedding ceremony. I would recommend Laura time and time again for anyone who doesn’t know what they are doing or knows exactly what they want. If it wasn’t for Laura and everything she helped us with I don’t think our wedding would have been as great as it was. Not only will she make sure your vows are perfect but she was able to help us on a personal level and really calm us down when times got tough. She was able to bring up things we didn’t even think about for the wedding day and even gave me tips on how not to cry the entire time 🙂 I hope everyone who works with Laura has as great of a time as we did! 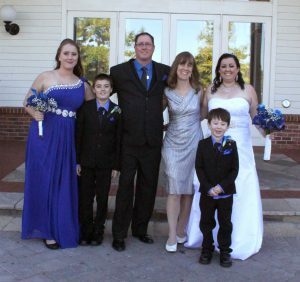 Our ceremony was held on Oct 8 of this year. Laura, from Portrait Ceremonies, was absolutely amazing. We got in touch with her about 5 months before the wedding, and she responded promptly. She was very kind, talking to us about what we wanted, and put together a personalized ceremony for us. 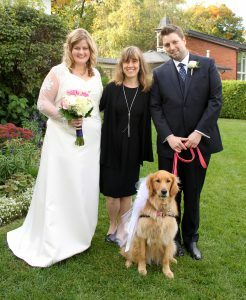 Her ceremony was beautiful, and she even helped us work our dog Stella into the ceremony. She was great during the rehearsal and the ceremony. She got everyone into position and made sure everyone knew what they were doing and saying. She really helped reassure us before and during the ceremony. We felt we were in great hands with her. She cares so much for her clients, and you can see how rewarding the experience is for her. We highly recommend her to anyone planning their wedding. Thank you SO much Laura! Laura is simply amazing. 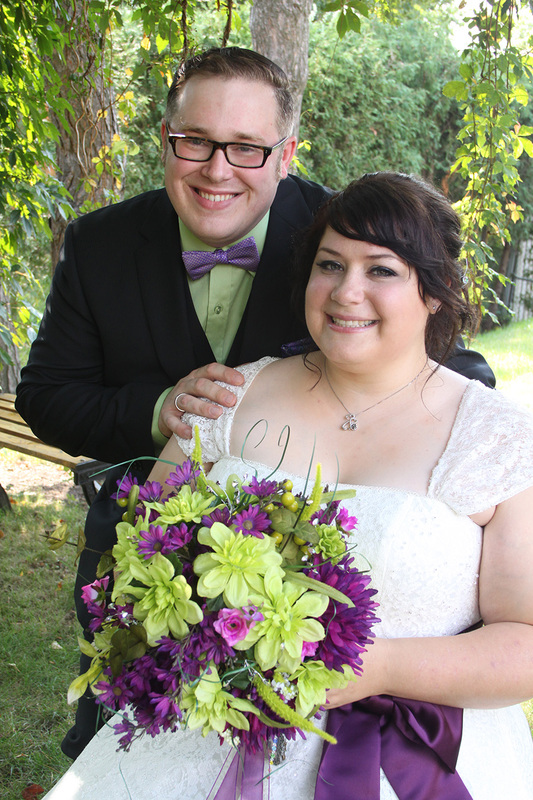 She did a wonderful job with writing our wedding ceremony script, personalizing it to our wants and needs. Whenever I had questions, she was always there to answer and help. I don’t know what I would have done without Laura. 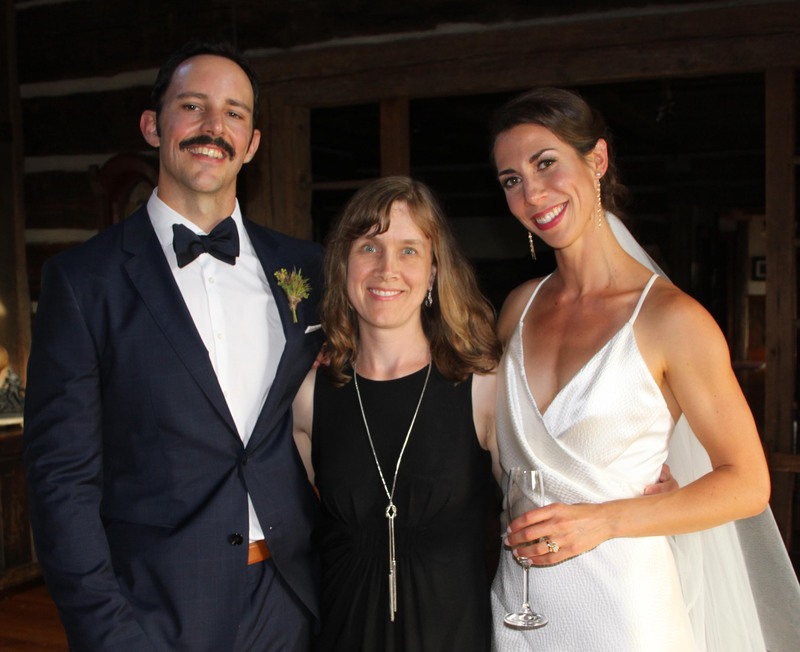 She guided us through the ceremony and made it effortless. She is one of the most friendly and kindest people I have ever met. I would recommend her to anyone and everyone. Laura was an absolute pleasure to work with. She ensured that every detail was exactly what we wanted and had many excellent suggestions to make sure the ceremony was perfect. 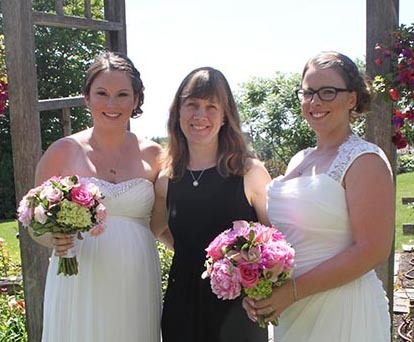 We felt very comfortable working with her and would gladly recommend Laura as an officiant!! Thank you again!! We had the pleasure of having Laura officiate our wedding in August. From our first phone call, Laura was very professional and kind. 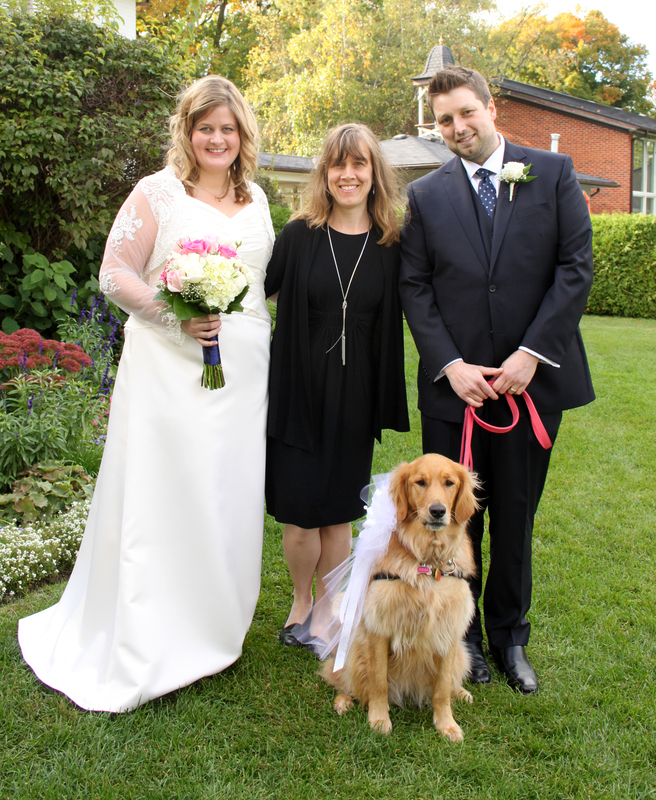 She was open minded to our requests and created a beautiful custom ceremony just for us. She was always very quick to respond by e-mail or phone. Her scripts were well written and she has incredible attention to detail, I was very confident in her and she did not disappoint. Thank you Laura, what you do is a true talent and you made our day that much more special. We would absolutely recommend your services. I have to thank you so much. Everybody loved the ceremony. We are still talking about it. I’m so glad that you were a part of our beautiful day. I couldn’t ask for a better ceremony. Thank you so much for being ‘the voice’ of our wedding ceremony. We are so grateful for all your time and effort put into making our day personal and special. We had many comments that it was the best ceremony people had ever attended. I would have to agree! We laughed, we cried, and we got married…it was a successful day! It was such a pleasure to have Laura officiate our wedding. 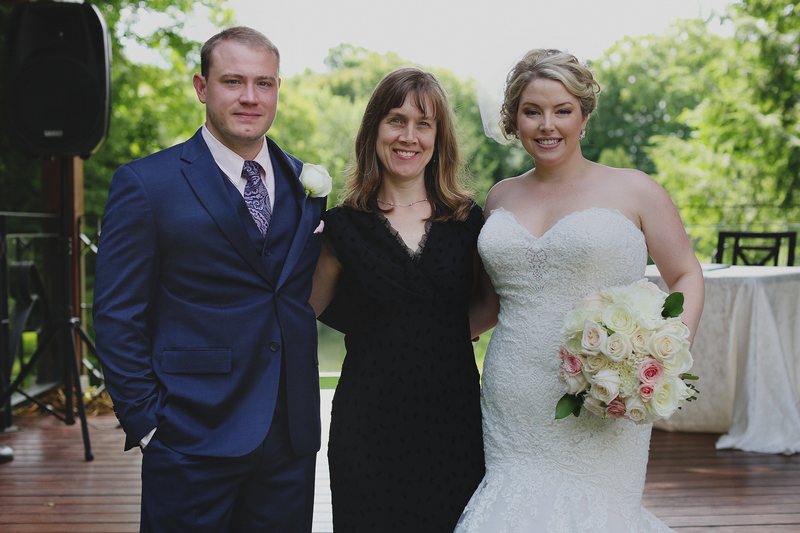 She was very helpful and thorough while we created a special ceremony that was personalized just for us. The ceremony was beautiful and everything went perfectly. Thank you so much Laura!